I knit and crochet, besides quilting. 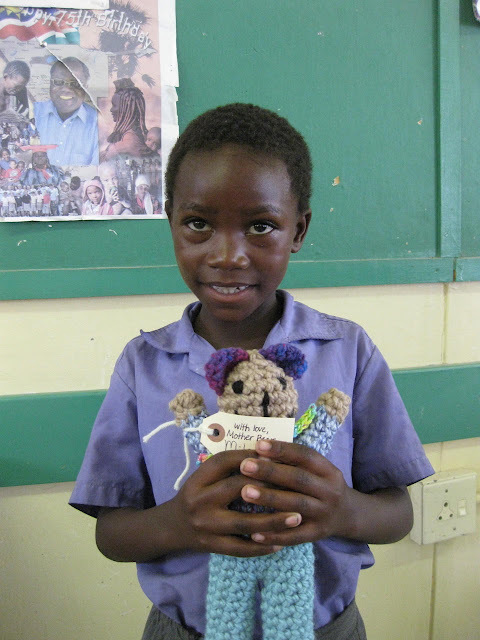 One project I like to do is Mother Bear Project teddy bears. They accept knitted or crocheted teddy bears. 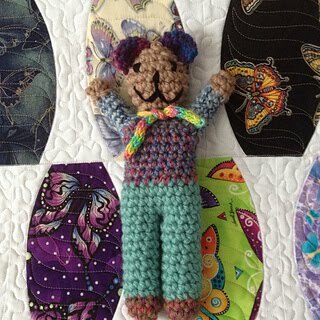 I like to crochet my bears, as they go faster, plus I can do amigurumi style ears of various fun colors. 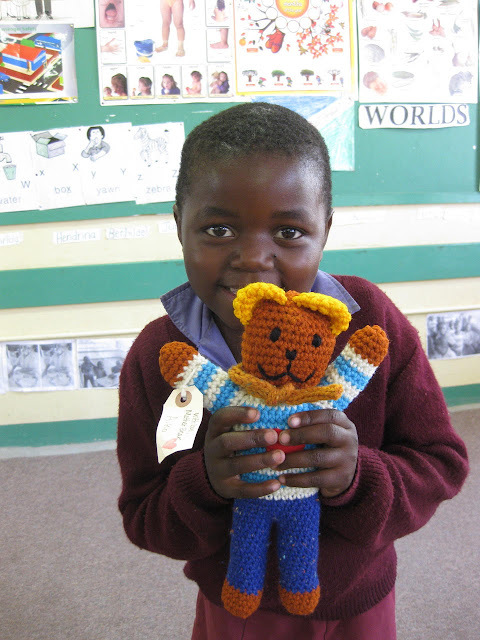 These teddy bears are send to children in Africa, affected by AIDS. Many of them are orphans. Photos of the bears in the arms of their child are posted on the Mother Bear website. Two of my bears recently showed up. This is my 190th teddy bear and it's child! Baby quilt made with the Urban Abacus pattern and Quick Curve Ruler. And here is my 187th teddy bear, both my original photo and a photo with it's child! BTW, to see what 84 teddy bears, with bright colored ears, being sent off at once looks like, go to this post. Your bears are sweet and so wonderful to know they comfort children. You are making lots of kids very happy, I'm sure!! Awesome!! Those bears are adorable. I don't knit or crochet any more, but I do try to make things for charity whenever possible. There are so many needs and not enough time to do them all. It's so nice that you have pictures of your bears with a child. This is a great thing you are doing Nancy! I'm sure your bears make the children feel loved.